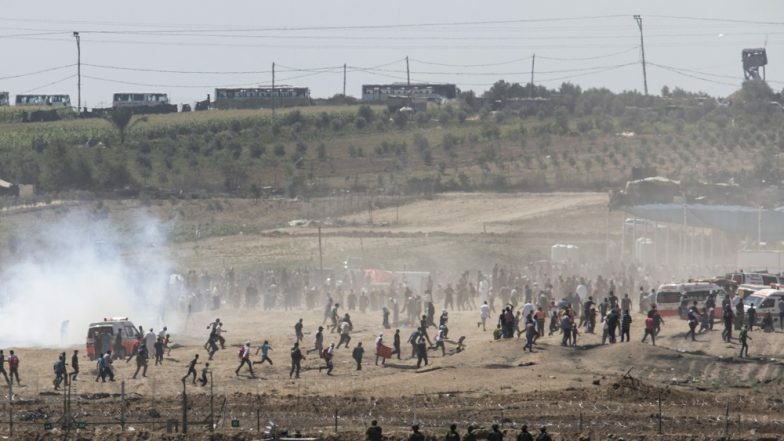 Jerusalem, March 25: Israel's army accused Hamas of firing a rocket that hit a house north of Tel Aviv on Monday, wounding seven people, and announced it was sending reinforcements to the Gaza area. The military said on Twitter the rocket had been fired from the Rafah area in the southern Gaza Strip. Israel Begins Construction of New Gaza Border Barrier.